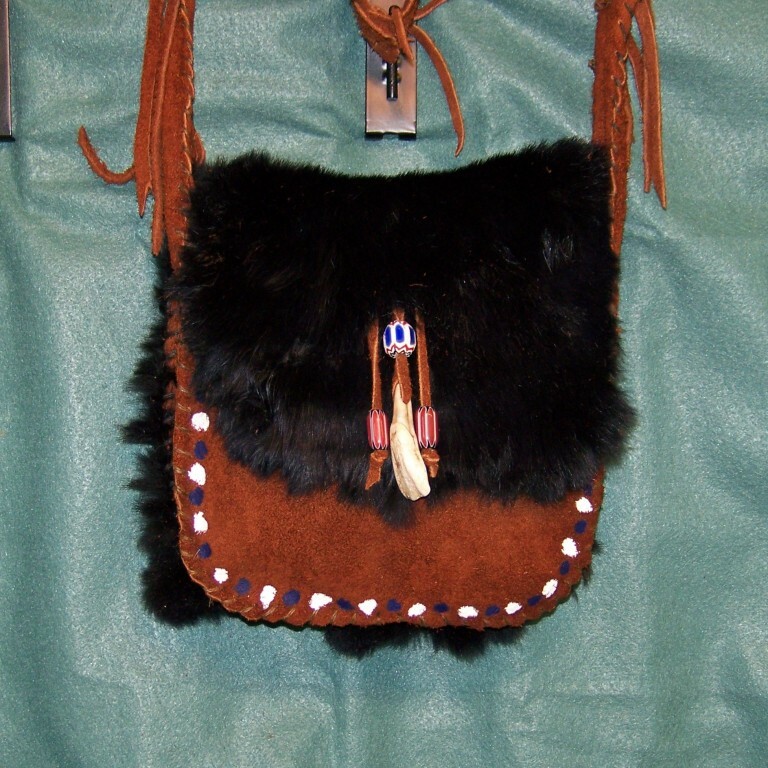 Buckskin Medicine Bag | Lost River Trading Co.
BAG-360 > Here is a Shoulder Bag that offers Double Suede Buckskin and is both hand stitched and laced. This soft bag features A 2 inch gusset, adjustable shoulder strap and a black dyed rabbit fur on the back and front. It is adorned with old style glass trade beads and paint. It is 8″w X 8″t x 2″ deep.